The Horror Writers Association (HWA), the premier organization of writers and publishers of horror and dark fantasy, today announced the recipient for the association’s 2014 Specialty Press Award. ChiZine Publications, founded and run by Brett Alexander Savory and Sandra Kasturi, will be presented with the award on May 9 during the Bram Stoker Awards® Banquet in Atlanta, Georgia, as part of the World Horror Convention. “Among the many small presses publishing dark fiction, ChiZine Publications stood out this year with its list of impressive releases and continued dedication to the horror genre,” said Marge Simon, HWA’s Board of Trustees Chairperson. ChiZine Publications (CZP) sprang out of the successful chizine.com, which began presenting fiction and review in 1997. Since its inception in 2008, CZP has published more than 90 books by authors including Christopher Golden, Stephen Graham Jones, Gemma Files, Tim Lebbon, Nancy Baker, Tom Piccirilli, Helen Marshall, Michael Rowe, Geoff Ryman, Robert Shearman, Melanie Tem and Steve Rasnic Tem. Their philosophy is “to startle, to astound, to share the bliss of good writing with our readership.” For more information about ChiZine, please visit www.ChiZinePub.com. For more information on the Horror Writers Association and the Specialty Press Award (including a complete list of previous winners), please visit www.horror.org. For more on the Bram Stoker Awards presentation and the World Horror Convention, go to www.whc2015.org. 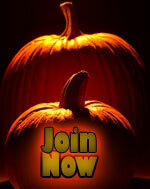 The Horror Writers Association is a worldwide organization promoting dark literature and its creators. It has over 1,300 members who write, edit and publish professionally in fiction, nonfiction, poetry, games, films, comics, and other media. The HWA formed in 1985 with the help of many of the field’s greats, including Dean Koontz, Robert McCammon, and Joe Lansdale.